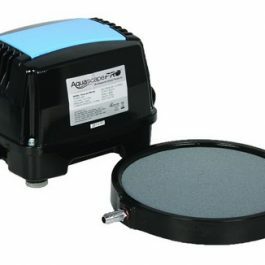 Category: Aerator Pumps Tag: up to 4000 gal. 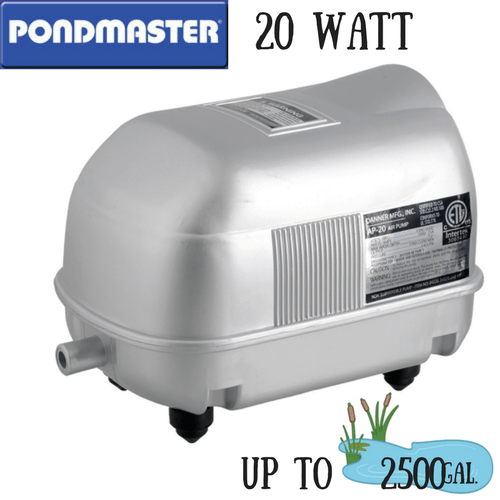 The Pondmaster AP-20 is so named for its power output of 20 watts. 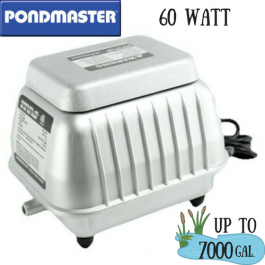 If you are looking for reliability and quiet operation, the Pondmaster series is a great choice. 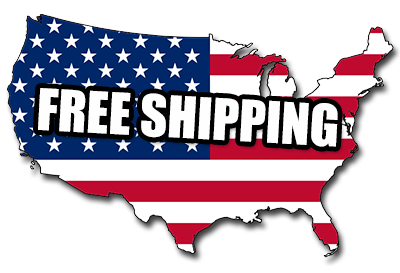 It’s designed to work efficiently with a hybrid motor that is non-oil lubricated. High volume aerator pumps inject a steady flow of air even in large or deep ponds. 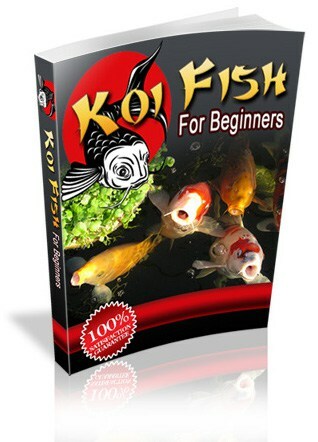 Some benefits include: Increasing dissolved oxygen levels to ensure fish health, improving necessary biological filtration, and setting the stage for a healthy pond environment. 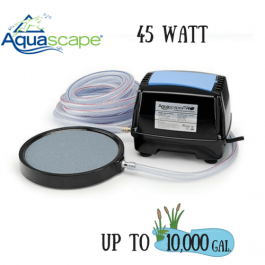 Great way to raise vital oxygen levels during warm summer days when water is warmer and naturally holds less dissolved oxygen. 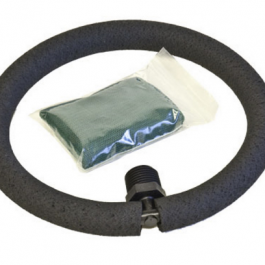 Its also beneficial to use during harsh winters to maintain proper gas exchange and to prevent surface water from icing over.